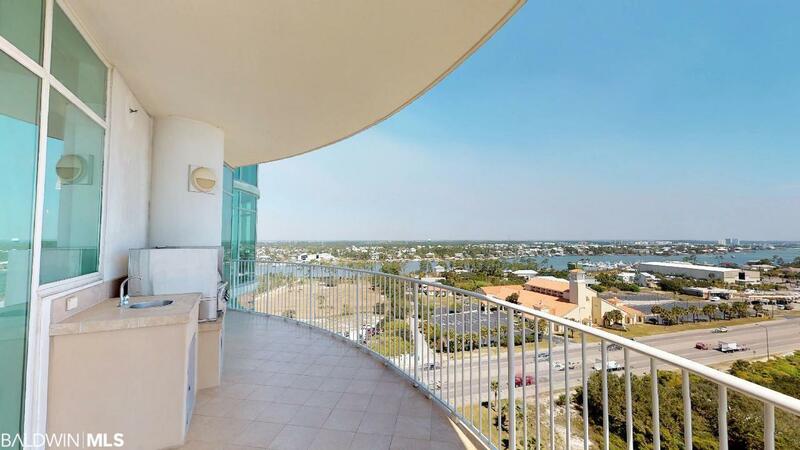 This unit has the much sought after east end view of the Tower C "01 units overlooking so many bodies of water, including the Gulf, the Perdido Pass, Cotton Bayou, the Bay, the Intercoastal waterway and Old River. 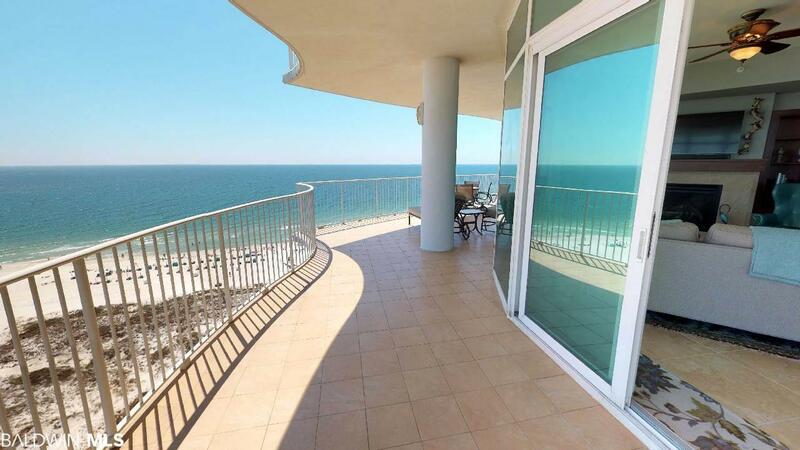 On a clear day, you can see all the way to Pensacola Beach and beyond. It features 4 bedrooms and 4 baths, professional decor and has many upgrades. 24" porcelain tile in common areas, wood plank flooring in master and SE guest bedroom and carpet in the two North guest bedrooms. Sound suppression, wood plank ceiling in master bedroom. Custom bead board installed on kitchen bar area. Custom drapes, paint and electric outlet plates throughout. Private hot tub/natural gas grill (new as of 2018) on balcony. Subzero/Wolf appliances, including natural gas cook top, built in oven with microwave and warming drawer. Kitchen cabinets updated in 2018 with stunning blue finish! Wine cooler & ice maker. 3 cm granite countertops. Natural gas fireplace, new flat screen TV in living room, and custom electronics niche. Full-size laundry room with high-efficiency, front-loading washer and dryer on pedestals and laundry sink. Jacuzzi brand master bath suite which features full-body shower and jetted tub. Hansgrohe plumbing fixtures. Custom entry and interior doors. GREAT assigned parking space! This unit has excellent rental potential! 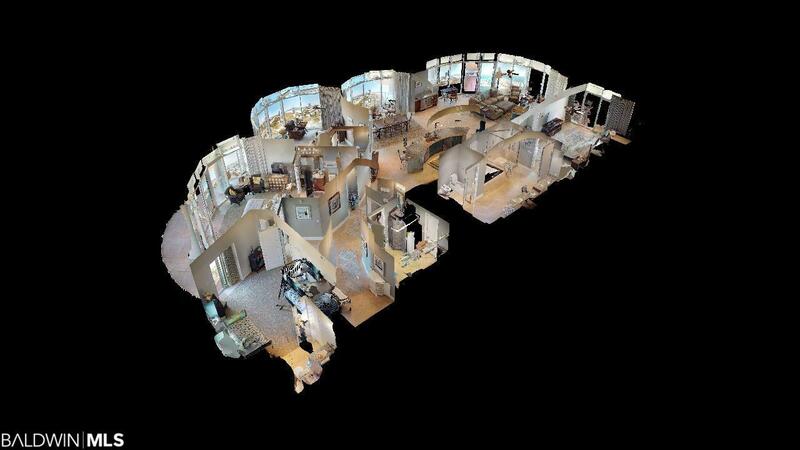 Widely regarded as the premier condominium residence, Turquoise Place sets the standard for luxury and design. 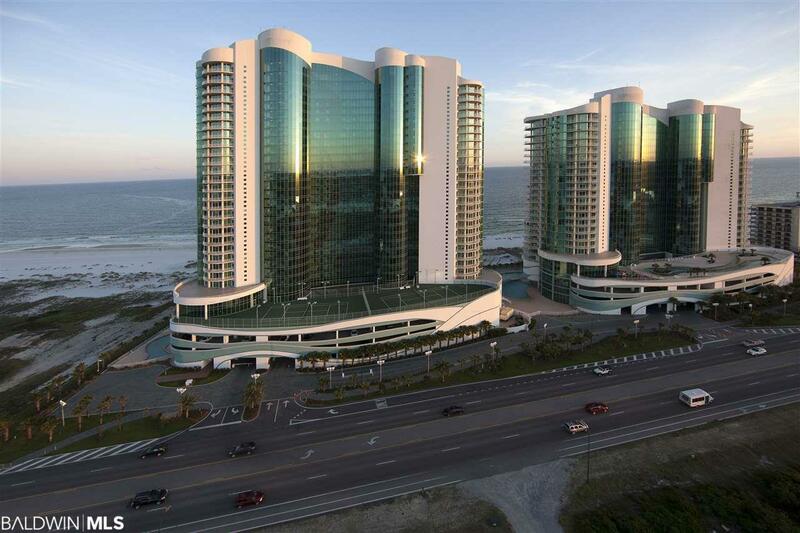 Located on a 500 foot stretch of gulf frontage, the property was designed to be unlike any other condominium in the region with large, luxurious units with features unmatched in Orange Beach, and an amenity package that raises the bar within the market. Also rising above the competition, Turquoise Place offers panoramic views of the surrounding beaches of Gulf Shores and Perdido Key. Learn more about Turquoise Place by reading the attached document.